Do you feel the same all the time? Do you feel happy when something good happens to you? Do you feel sad when you lose something? Do you feel excited when you wait for something good to happen soon? 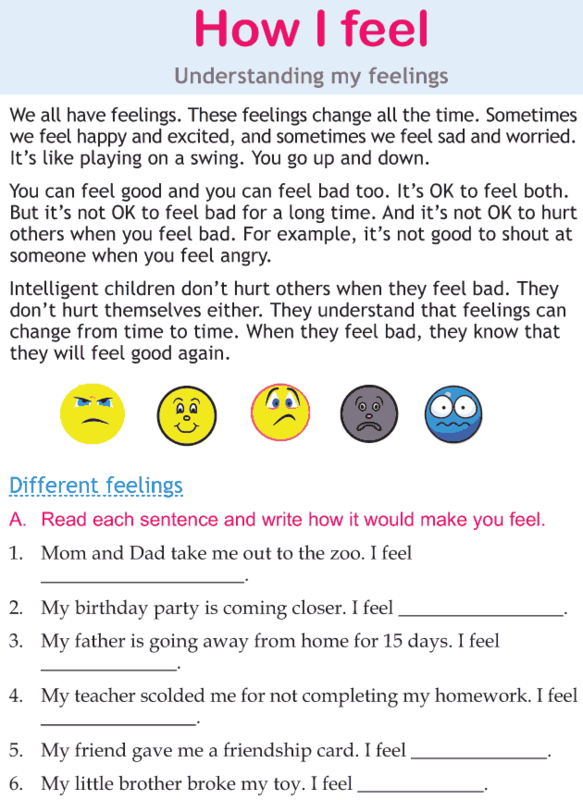 Do you understand the feelings of others? Do you help others feel better when he/she is feeling sad?